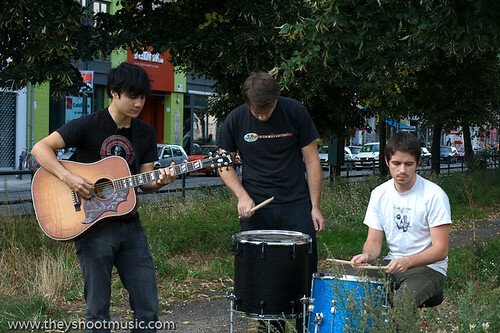 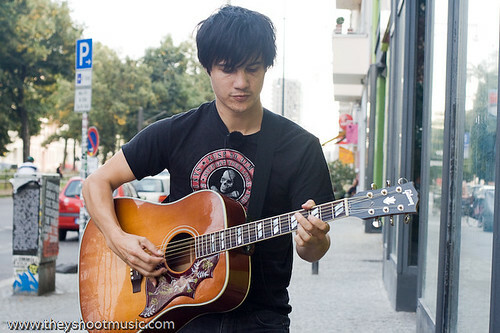 Since the last time we have tried to set up a video shoot with The Dodos in December 2008 the band has grown to three members, recorded and released a new album (“Time To Die”) and then hit the road again for several touring months. 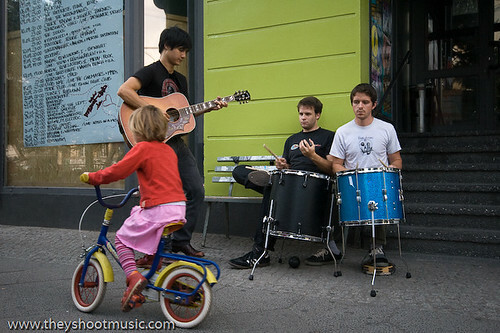 Singer Meric Long, drummer Logan Kroeber and vibraphone player Keaton Snyder seem not to take any breaks. 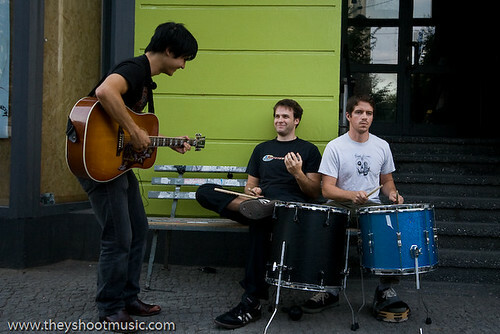 When we meet in the afternoon of a nice September day in Berlin they have just finished soundcheck and are scheduled to take a taxi to a radio station soon. 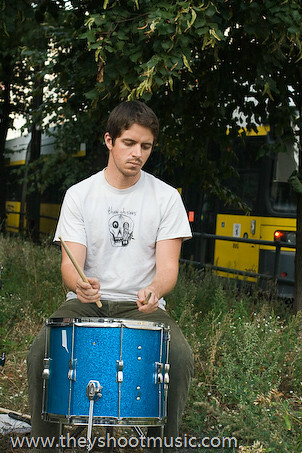 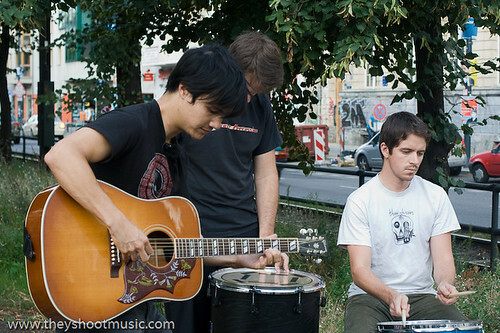 So things have to go quickly, and The Dodos make their contribution by playing a “fast version” (Meric) of “Acorn Factory” in front of the venue of their show and the new album’s title song “Time To Die” – leaving out the intro and coming in with the heavy part – between the tramway tracks on Greifswalder Straße. 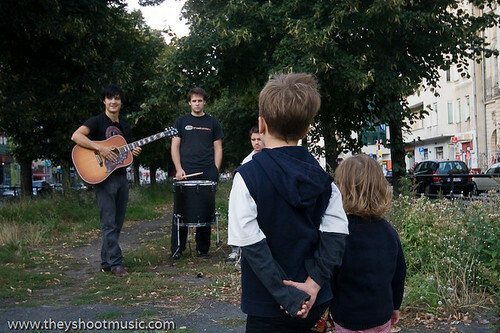 A family walks by and stops, the father tells us his appreciation for this music and the kids stand and concentrate on The Dodos’ complex drum rhythms and guitar finger-picking parts. 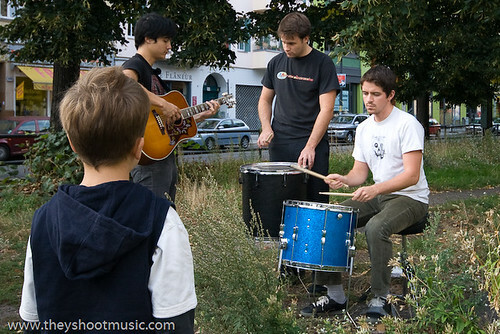 The diversity of their musical style comes from a wide range of influences such as West African Ewe rhythms (Meric), metal drumming (Logan) and classical training (Keaton). 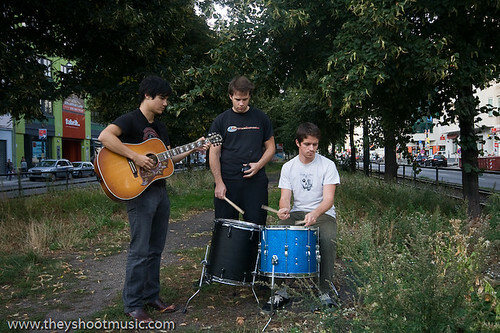 Since these backgrounds merge with some compelling pop appeal, the songs not only make your body move, but also quickly settle in your mind.